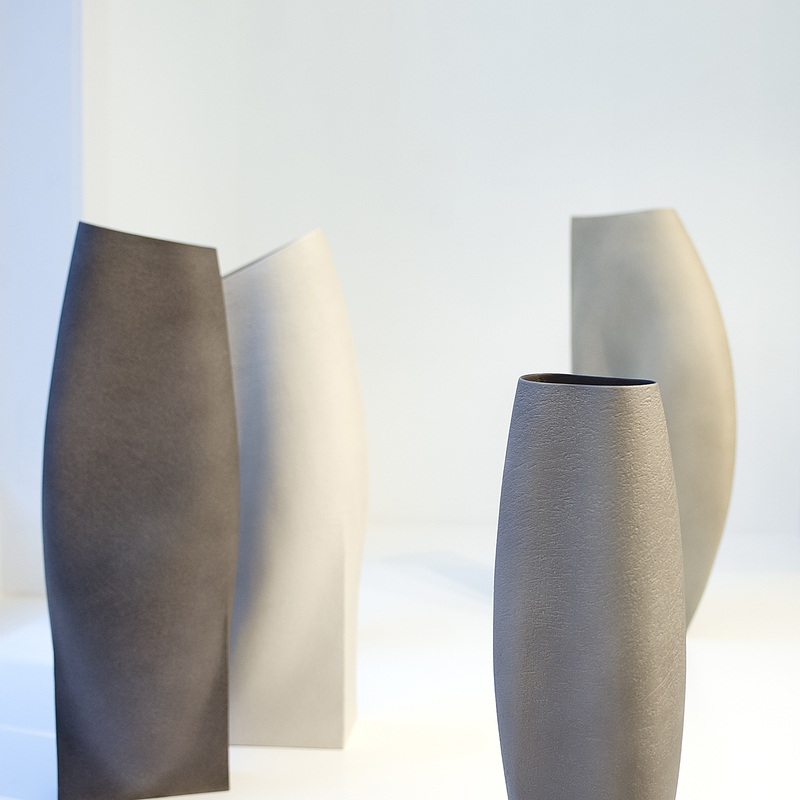 Ashraf Hanna is an Egyptian-born, British trained, studio potter resident in Britain. Hanna initially studied art and design at El-Minia College of Fine Art in Egypt. After completing studies in theater design at Central Saint Martins College of Art and Design in London, he began working with clay in 1997. This is work that is best described by a single word — elegance. 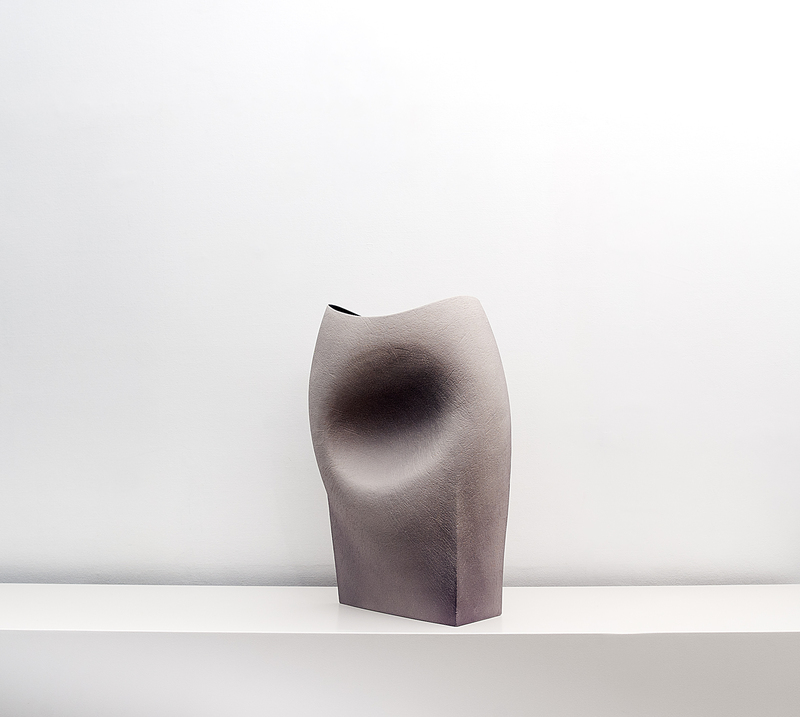 His shapes seem to capture a mysterious invisible presence behind their thin skin of clay. They explore the relationships between line, volume and space within objects and how these objects relate to one another. 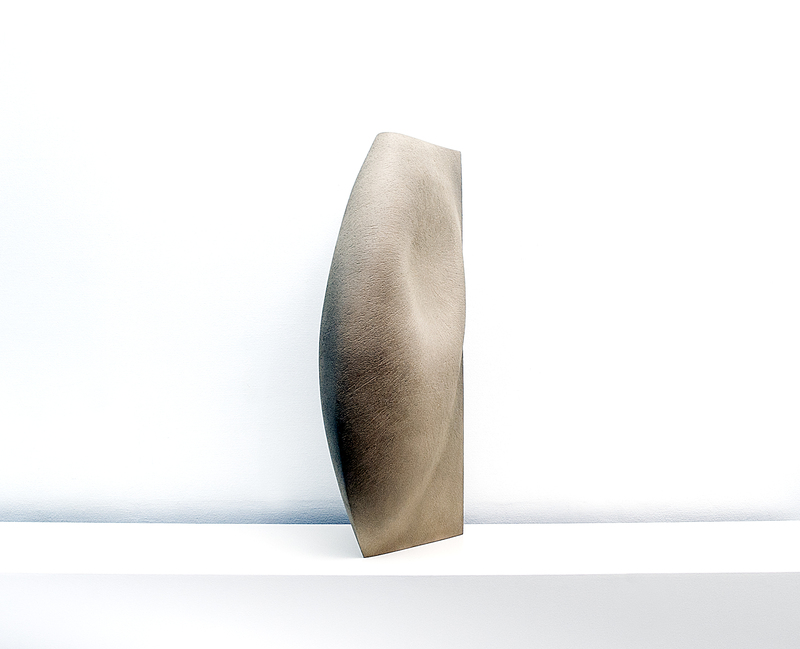 The juxtaposition of sharp lines and softer curves invites the eye to engage with the sculptural aesthetics of the form. The work is concerned with achieving a balance that inextricably links the forms and techniques of the ancient world with their utterly contemporary personality. These pieces are all slab built. The artist is obviously driven by the need to explore “I celebrate making as the product of observation and thought; the physical manifestation of ideas and skills”. His first experience with pottery forms within a creative environment occurred while closely observing such forms during drawing classes at El Minia. “I became aware of the quiet beauty and sense of contentment existing within a considered, sensitively executed form. Many, many hours were spent in contemplation and its subsequent liberation from prejudices and old perceptions regarding functional pottery. While the utilitarian nature might generally determine the shape, his forms and surface treatments have a physical presence also worthy of study. Over the years his heightened awareness of form and process has shaped his attitude to handling clay. He has found true joy in making with clay. It set him upon a hugely successful new career path that has continued to this day. “Having established a successful studio practice, the decision to go to the Royal College of Art in 2009 was driven by a desire to broaden both knowledge and basic skills. I believe that practitioners must continually strive to achieve better quality standards and individual identities in order to realize self-fulfilment”. Since establishing his pottery studio in Pembrokeshire, Wales in 2000, Hanna has won numerous prestigious awards for his ceramic art.